WASHINGTON, D.C. -- U.S. 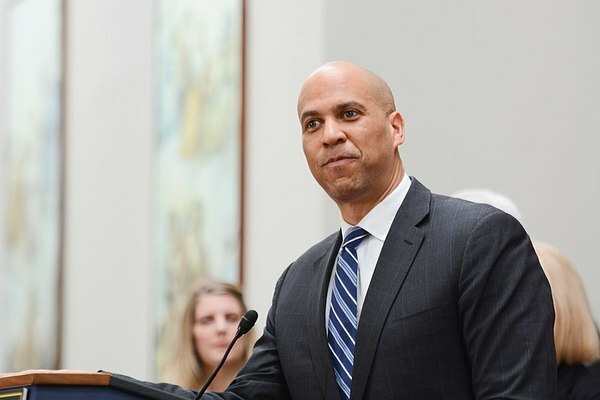 Senator Cory Booker (D-NJ), a member of the Senate Judiciary Committee, today announced he will introduce a bill to form a commission for the study of reparation proposals for African-Americans. Final legislative language of the bill will be filed shortly. The bill is the Senate companion to HR40, introduced earlier this year by Rep. Sheila Jackson Lee (D-TX). The Commission will aim to study the impact of slavery and continuing discrimination against African-Americans and will make recommendations on reparation proposals for the descendants of slaves. "Since slavery in this country, we have had overt policies fueled by white supremacy and racism that have oppressed African-Americans economically for generations," Booker said. "Many of our bedrock domestic policies that have ushered millions of Americans into the middle class have systematically excluded blacks through practices like GI Bill discrimination and redlining. This bill is a way of addressing head-on the persistence of racism, white supremacy, and implicit racial bias in our country. It will bring together the best minds to study the issue and propose solutions that will finally begin to right the economic scales of past harms and make sure we are a country where all dignity and humanity is affirmed." "Since the initial introduction of this legislation in 1989, the importance of examining the institution of slavery in the United States has been recognized across a broad range of our society," Rep. Sheila Jackson Lee said. "I am pleased that Senator Booker has introduced a Senate Companion to H.R. 40. I salute his dedication to elevating the discussion of reparations and reparatory justice, and look forward to the dialogue that this issue engenders on and off Capitol Hill."